Are there frequent meal time battles in your house? Do you dread meal times because of the stress? Is your child a fussy or picky eater? In our highly effective, family-centred feeding clinic, we help make a shift from mealtimes that are difficult, frustrating and draining, to mealtimes that are stress free and enjoyable for the whole family. At our food clinics children and parents join our paediatric dietitian and learn how to enjoy food in a safe, fun environment. We choose the Play-Based SOS Approach to Feeding program to teach children to eat at a pace that respects their readiness to progress through learning the different steps involved in eating. We teach the children the skills they need in order to eat a wide variety of food types and textures using the natural, social reinforcement of playing with the food and interacting with adults. Children 12 months and older: you and your child will have a Therapy Meal with our Paediatric Dietitian. Foods, plates, bottles, cups and utensils will be selected and provided by the therapist that will best help your child reach their eating goals. Infants: Our Paediatric Dietitian has extensive experience in this age group and will support and guide you in how to introduce solids, and help babies who are experiencing Failure to Thrive. Book Online to see Shu-Lin in Werribee! Book Online to see Shellie in Belmont! 2-4 children (ages 18 months and older) have a Therapy Meal together in our kitchen. Parents are taught how to best help their child eat and will observe the Paediatric Dietitian work with their child. Fee: 10 week program: $95 per session (paid in a block of 10). An initial individual session with the dietitian needs to occur before enroling in the group program. 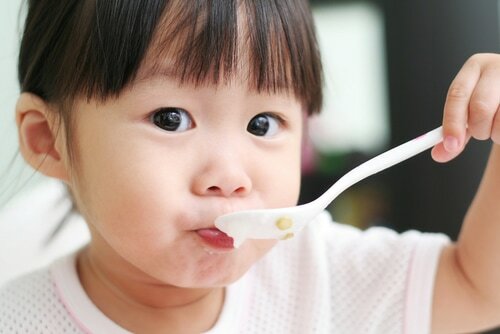 ​What is the Sequential-Oral-Sensory (SOS) Approach to Feeding program? The SOS Approach to Feeding is a program for assessing and treating children with feeding difficulties and weight/growth problems from birth to 18 years. It integrates posture, sensory, motor, behavioural/learning, medical and nutritional factors to comprehensively evaluate and manage children with feeding/growth problems. This approach is based on developmental steps, stages and skills of feeding found in typically developing children. It focuses on increasing a child’s comfort and confidence towards food and eating by teaching them about different properties of food. ​The SOS Approach to Feeding Program focuses on exposing the child to food through exploration in a fun, easy-going way as they learn through a sensory hierarchy. Our feeding therapists, Shu-Lin in Werribee and Shellie in Belmont, are accredited practising dietitians who have worked with children and families with extreme feeding issues. They have completed the SOS Approach to Feeding training by program developer Dr. Kay Toomey and have since worked with families in feeding clinics/food school. Who can benefit from SOS Feeding Therapy? Children with extreme fussy eating or children with prior negative feeding experience (eg. Previous tube feeding, multiple allergies, reflux, pre-mature babies) may benefit from a block of therapy. Often meal times for families can be stressful and these children would rather go hungry without food and do not seem to “grow out” of their fussy eating. ​Depending on the child’s age, your therapist may suggest the feeding clinic or food school for your child. The feeding clinic is used with non-school age children where ages can vary from 9-month-old infants to children of approximately 7 years of age. Food school (also known as the “Food Scientist Approach”) is typically used with school aged children above 7 years of age. The first session is between the feeding therapist and parent(s) or carer(s) to learn more about your child’s eating habits, what your main concerns are, and to identify feeding related goals for your child. In subsequent feeding sessions, your feeding therapist will work with you and your child to learn about food in a manner that is fun for your child. One of the main aims of feeding therapy is to make food or meal times enjoyable or less stressful for the family. Feeding sessions can be messy with younger children as it involves purposeful play to learn about food. A parent or carer is expected to be present throughout the feeding session. Each feeding session will be approximately 45 minutes long. Feeding clinics are typically booked in blocks of ten sessions. Depending on your child’s progress, your feeding therapist may reduce the number of sessions, or may recommend more therapy sessions. Start your child’s journey to the enjoyable exploration of new foods by calling Werribee on 9741 5222 and Belmont on 5241 6462 to schedule an appointment or enquire online.